Easy living is found here! 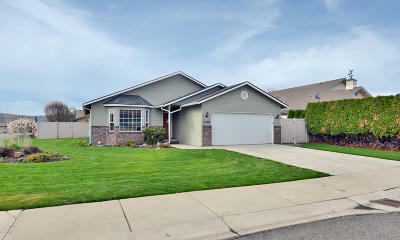 Well cared for single level home with spacious and bright living spaces. Situated on a quiet cul-de-sac this rambler is move-in ready. Step into a large front living room that is light and bright. Then onto the kitchen with newer appliances, this is a great space to entertain, plenty of storage and counter space. Enjoy the casual dining area off the kitchen and the den. Each of the bedrooms feature large closets and loads of natural light. The Master suite is spacious and complete with walk-in closet and full bath. The backyard is terrific, a newly constructed expansive deck with a large portion of it covered. It is a south facing patio, and perfect for year round enjoyment. Beautiful landscape surrounds the home. Directions: From Nob Hill, North on 53rd Ave, Left on Maui PL.